Get your boys (and 21st-century girls) and head down to the big dig tomorrow and Thursday. 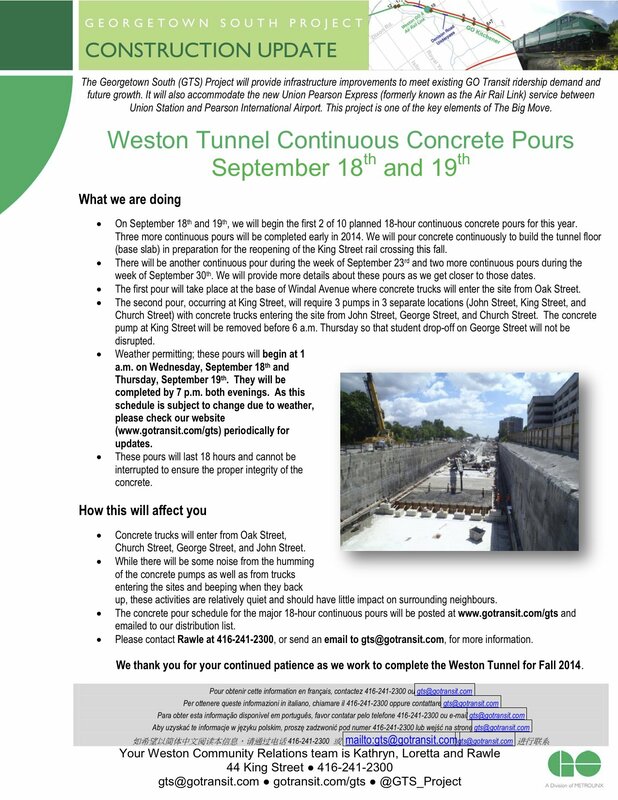 Metrolinx will be pouring concrete for 18 hours straight to form the base slab of the tunnel. The pouring will start at 1 in the morning and continue all day and into the evening. They promise that it will be relatively quiet, though there will be some trucks coming and going.